One building is impossibly cantilevered, seemingly set for an inevitable crash. 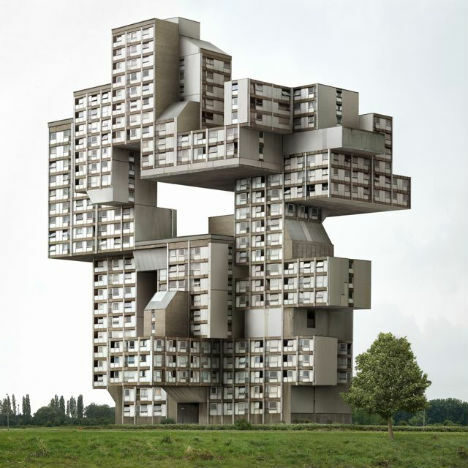 Another resembles the game of Jenga, with blocks of concrete stacked in strange configurations. Perhaps unsurprisingly, these imaginative structures aren’t real. 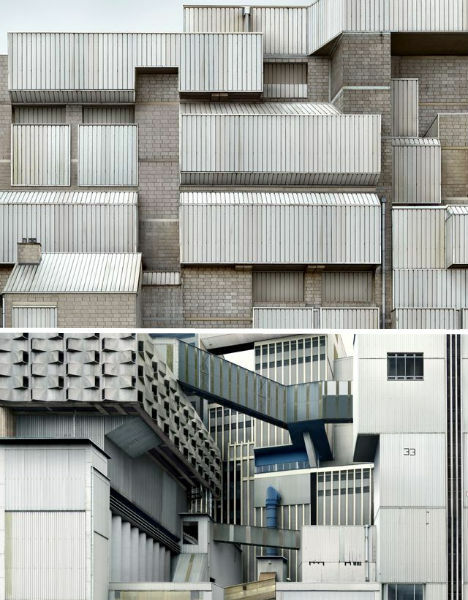 They’re the product of one photographer’s imagination – Filip Dujardin of Belgium photographs buildings and then manipulates them into fictional architecture that retains the chaos and grime of reality. 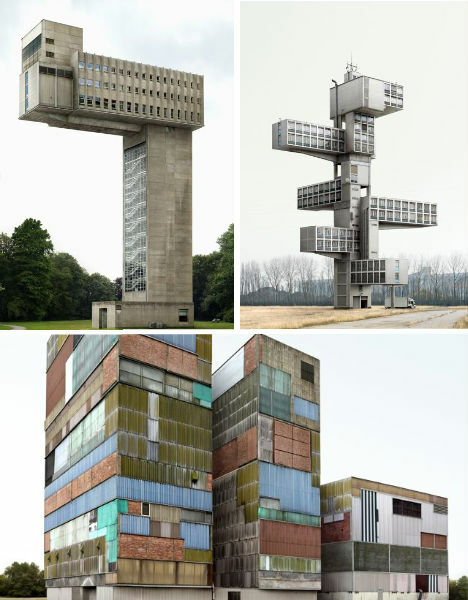 Dujardin says that he often starts with an idea for an imaginary building and makes a cardboard maquette or 3D computer model before seeking out local buildings to photograph and mold into his final product. 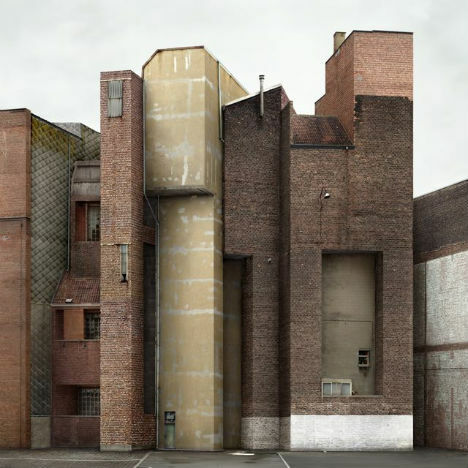 Nearly all of his source material comes from buildings in his hometown of Ghent, “resampled” into new designs in Photoshop. Shipping containers make their way onto roofs and get tacked onto building facades like prefab extensions. Otherwise ordinary office structures blossom with a profusion of tunnels, walkways and pipes. Occasionally, we get a peek at the backsides of mysterious buildings, bereft of windows or openings of any kind, looking unfinished and unprepared for public scrutiny.